$10 fee, per person, is payable at the door. The discouraging words are too often heard in smaller churches: We’re just not big enough. We don’t have enough people, enough money, enough (fill in the blank). 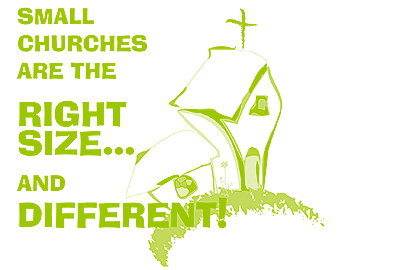 Small churches are the right size. In November workshops in six towns will seek to drive home that point. David Ray will lead "Small Churches Are the Right Size … And Different!" The workshops are designed especially for churches with 25 to 80 in membership, but attendance is open to all congregations. The programs are coordinated through the Oklahoma Conference office of the director of Discipleship Ministries for the Small-Membership Church. Deadline to register is Nov. 1, to facilitate meal planning. "These workshops are located throughout Oklahoma so that everyone may have a chance to attend," said Director Diana Northcutt. Five evening sessions and a one-day class are offered. Rev. Dr. Ray believes that any church is large enough to be and do everything God expects a church to be and do. Each church he has served moved from decades-long decline to significant growth in membership, participation, faithfulness, and financial commitment. For more than 30 years, he also has consulted with and written about smaller and rural churches. A clergyman in the United Church of Christ, he has pastored Congregational Church in Bristol, Maine, since 2004. Ray’s books include "Wonderful Worship in Smaller Churches" and "The Indispensable Guide for Smaller Churches." Each church represented at the evening sessions will receive a copy of "Wonderful Worship," and those at the one-day event will receive "The Indispensable Guide."